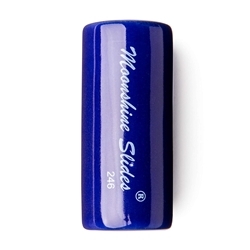 Moonshine Ceramic Slides give a rich, full resonating tone. Individually hand formed to withstand years of regular use. Porous interior absorbs finger moisture to reduce slipping... This ceramic slide delivers a rich, full resonating tone. Individually hand-formed to withstand years of regular use. Porous interior absorbs finger moisture to reduce slipping.